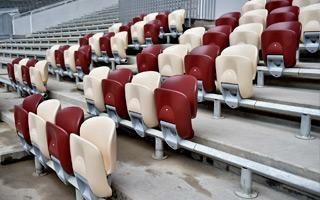 November saw the official beginning of old stands demolition, making way for the creation of new ones. 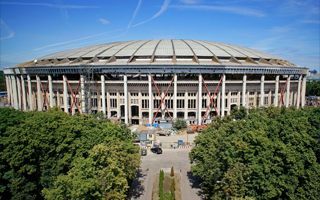 The task may seem easy as the roof and façades are already done, but that's the challenge. With all of the external structure to be left intact, contractors won't be able to use tower cranes, only mobile ones. 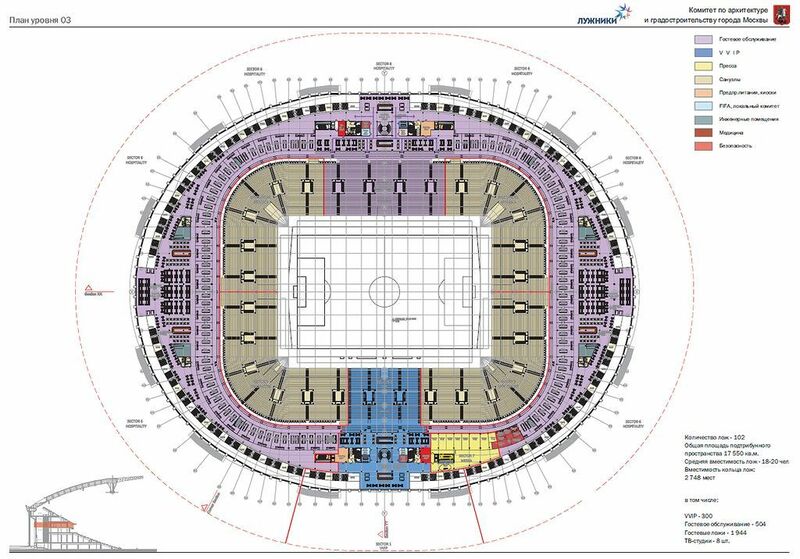 And the work inside is to include all of the stands rebuilt, because only foundations and some base elements are to be left from the current ones. 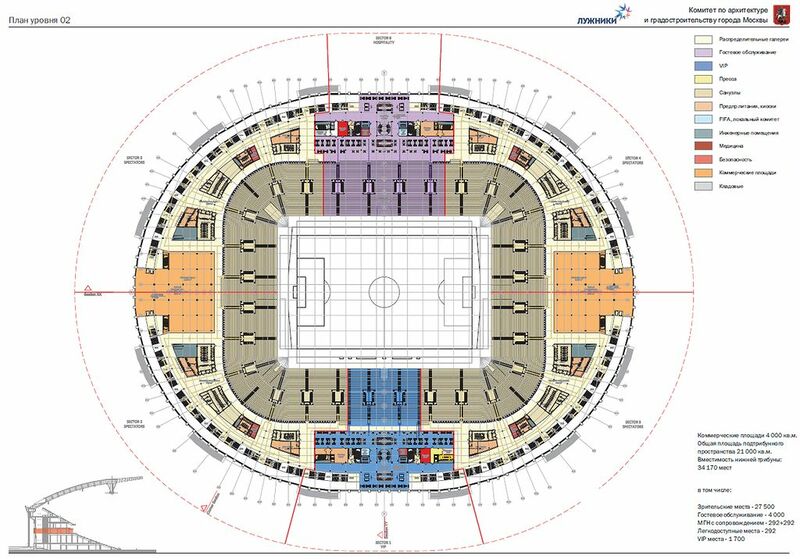 New stands will have a completely different layout than current ones. 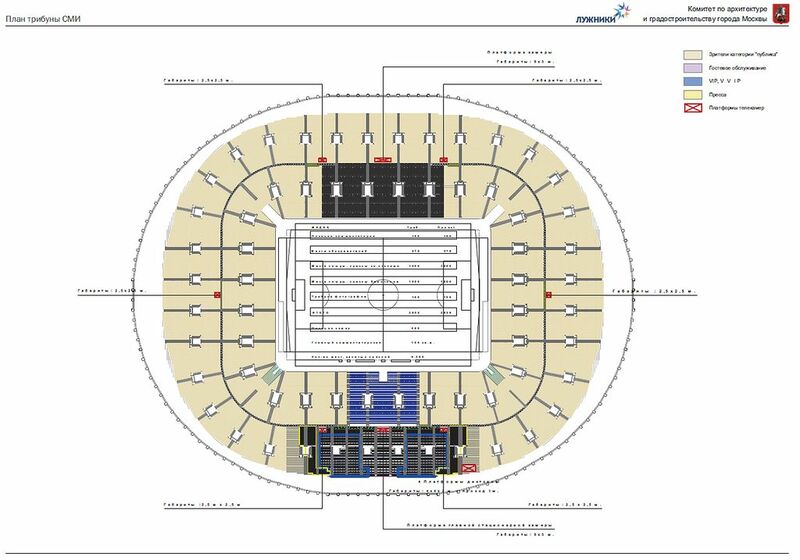 Instead of one large tier two smaller ones will be created with a narrow corporate balcony between them. 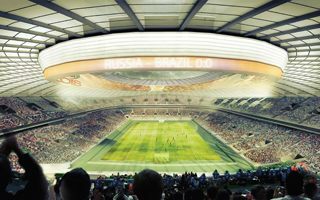 No athletic track will be retained, the stadium will become football-only. 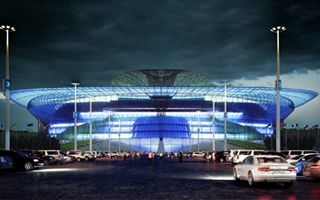 Capacity will grow from 78,000 to 81,000 as the stands will also grow taller atop five floors of usable space, but that number is still a decrease compared to original plans to have 90,000 people inside. 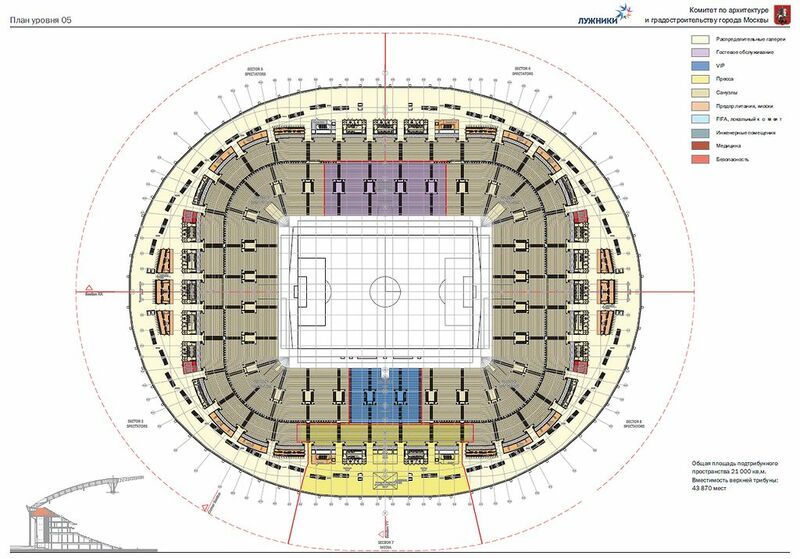 In the currently planned number 63,956 people will be seated on regular seats. 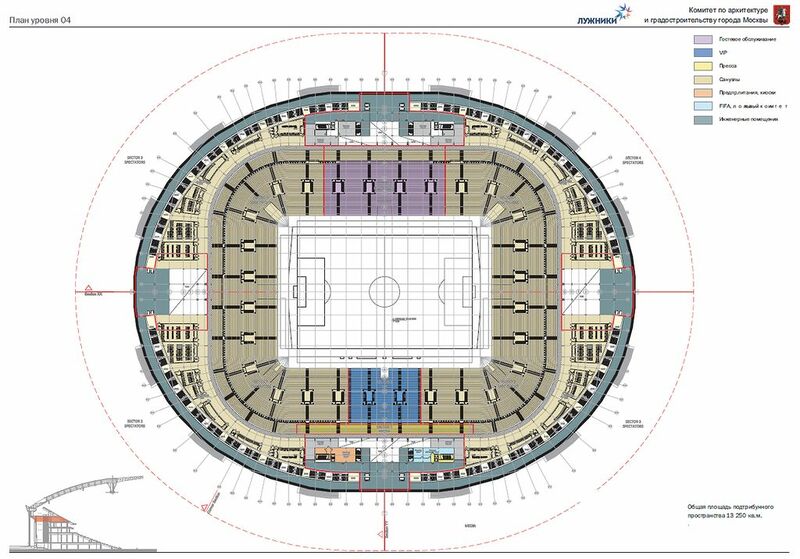 VIP spectators will take 1,700 seats, VVIP another 300, corporate clients - 6,480, the press – 6,360 (to fall after the 2018 tournament), while disabled fans will have 292 allocations. 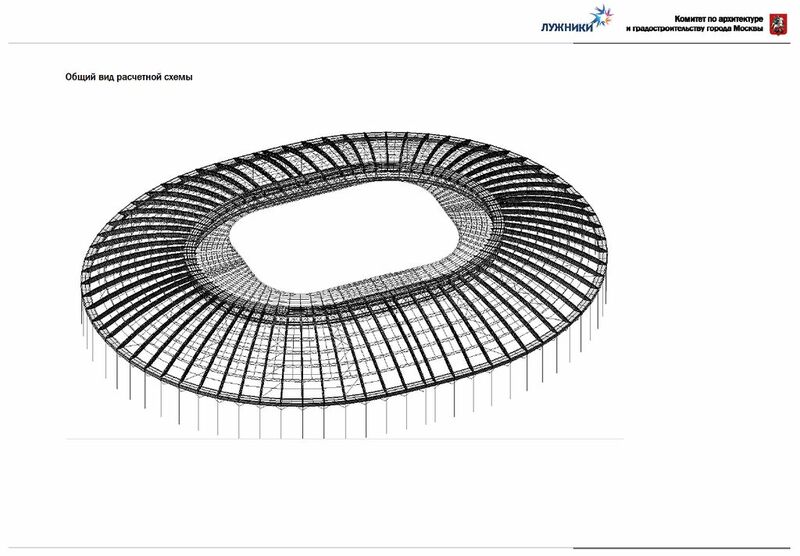 To protect the stands moved closer to the field, roof structure will be expanded. 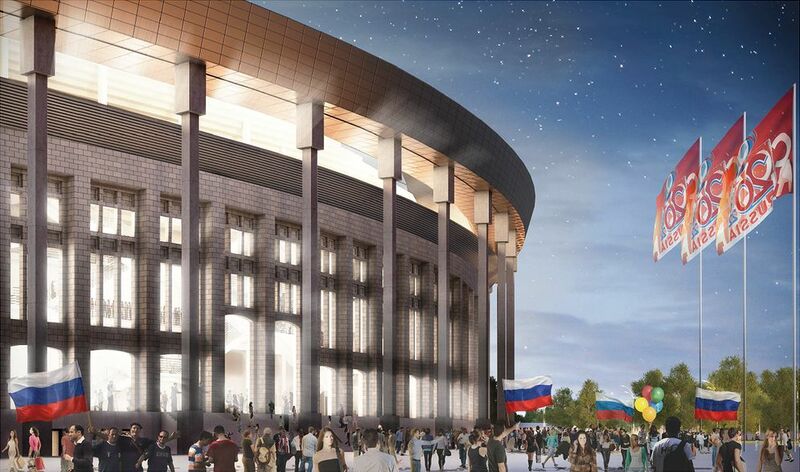 Not only will it gain new translucent segments, but also a massive giant screen will be installed throughout the circular truss, showing images both inside and outside of the truss and assuring everyone will have unobstructed view of the footage. 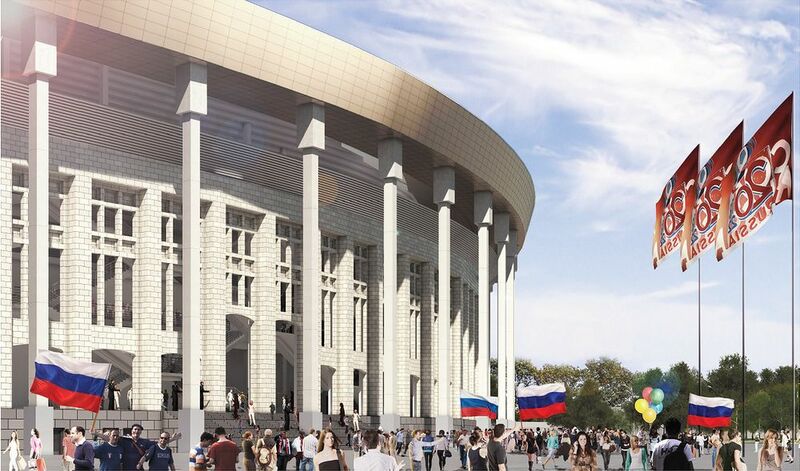 Initially estimated at RUB 25 billion, the tender value was set at RUB 20 billion. This amount will be paid to the general contractor who will be required to deliver all works within 42 months of entrance to the site. 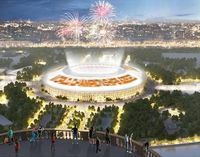 This means the redeveloped national stadium of Russia will be ready no sooner than in the 2nd half of 2017. 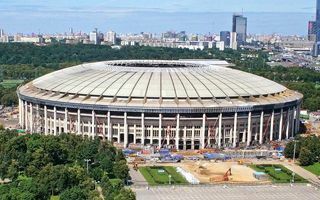 As Russia is preparing to welcome the teams and fans coming for the 2017 Confederations Cup, Moscow's national stadium is now officially ready. That said, no game is planned here until October. Passing week was a very rough one, with temperatures falling even to -30 (-22F). 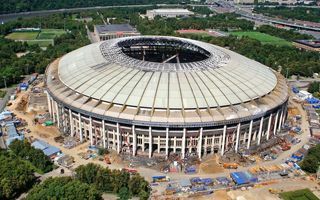 That didn’t stop workers at Luzhniki, where commissioning has begun. Delivery in March is still the plan. 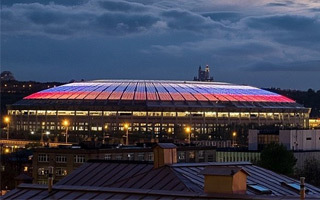 Russia’s national stadium will have almost all work delivered within the next several weeks. 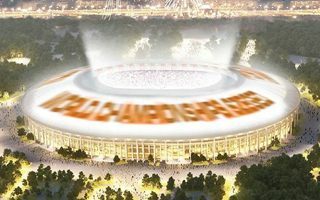 That’s much sooner than expected back in 2014 and soon enough to even make the Confederations Cup. 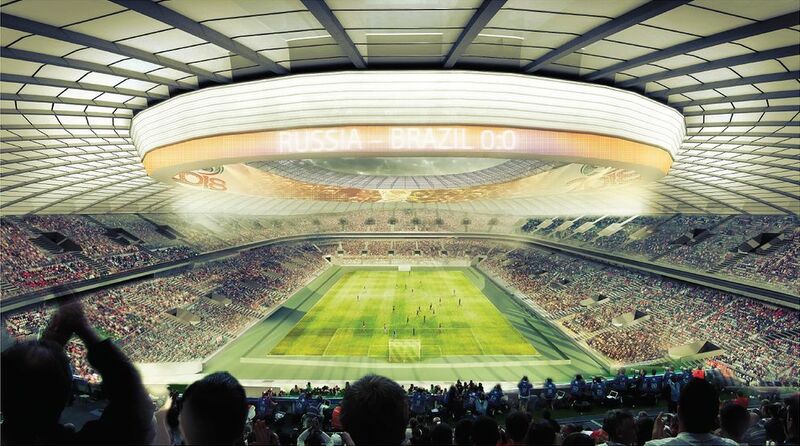 By the end of 2016 there will be some 25,000 seats installed at Russia’s national stadium. 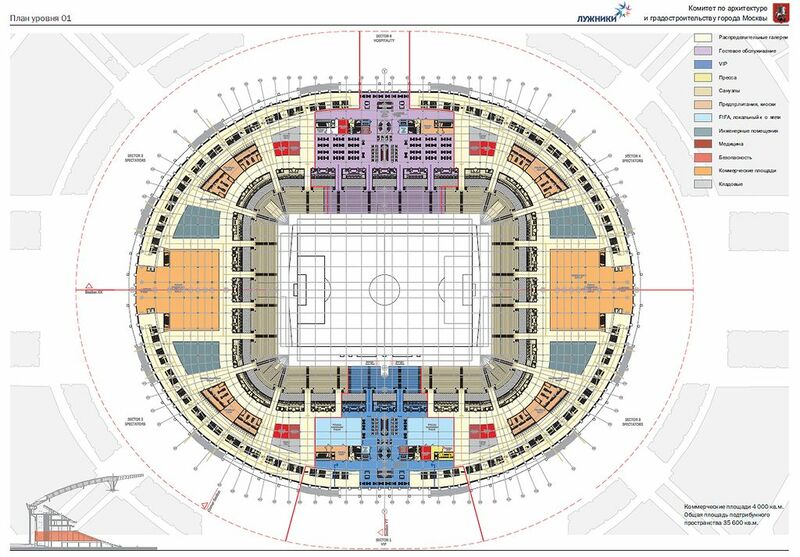 To see the final layout with 81,000 seats we have to wait until February. 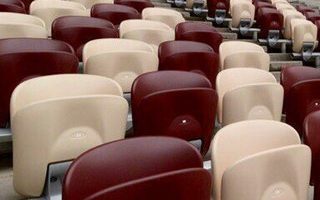 Is this the best possible colour scheme for the 81,000+ seats? It better be, because installation began and is going fast. The field is ready and so is the entire structure, now time for installations and furnishings. You won’t find photos documenting these tragic events. You won’t even find a death toll that wouldn’t be questioned. 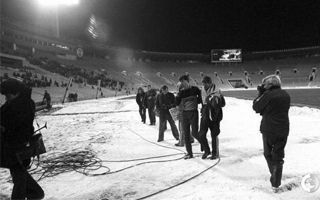 What happened at Luzhniki in 1982 remains unclear to this day. 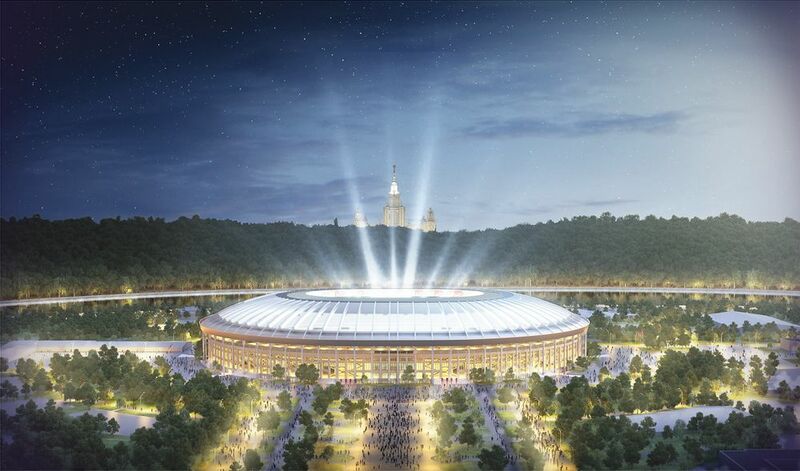 Russia 2018’s final stadium already has 90% of its main concrete structure in place. By year end it will be done, leaving less challenging works for 2016. 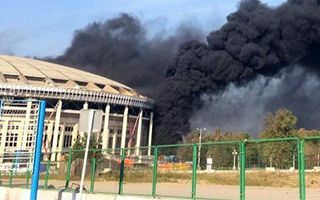 06.10.2015 Moscow: What happened at Luzhniki? It looked extremely bad, but ended with fear. Only some construction materials were destroyed and the façade seared. 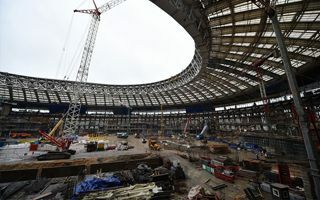 Works aren’t halted at Russia’s national stadium, still ahead of schedule. 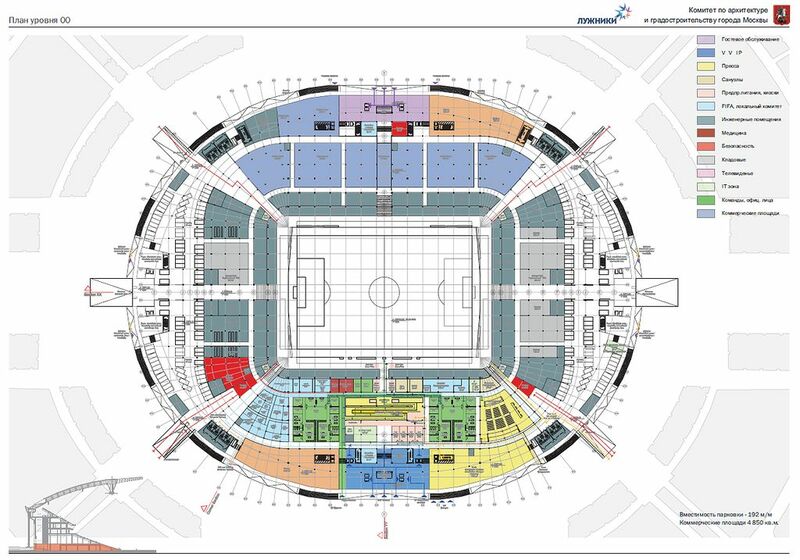 22.09.2015 Moscow: Luzhniki to become Russia’s Wembley? 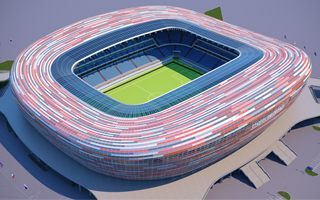 After reconstruction is over, Russian national stadium will become the site of most prestigious matches, including domestic cup final. Avoiding white elephant status may be difficult, though. 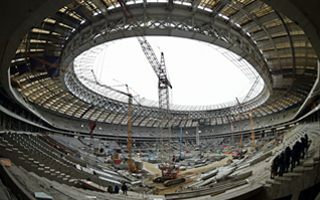 Works on Russia’s national stadium are constantly ahead of schedule by 2-3 months. 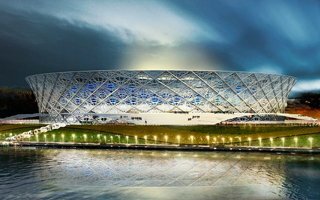 The cost can only be estimated at this point, currently expected to be around €350 million. 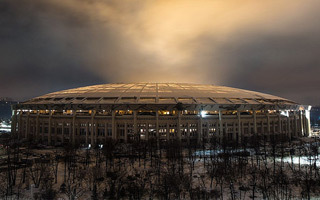 “Main task: price cannot go up by a single ruble”, said Sports Minister Vitaly Mutko, who sounds extremely optimistic. If the price stays still, it will only be at the expense of quality. 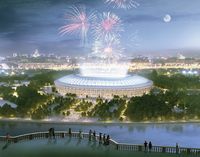 Russian sports minister confirmed stadiums may again prove more expensive than expected. Each of the ongoing projects may cost 30-40% more, coming after previous 50-100% increase. 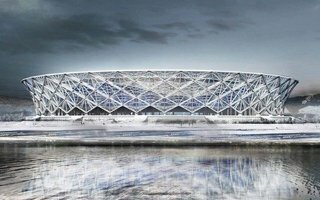 This one isn’t getting built. On the one hand we’re relieved, but on the other it’s so intriguing that seeing it delivered would have been exciting! 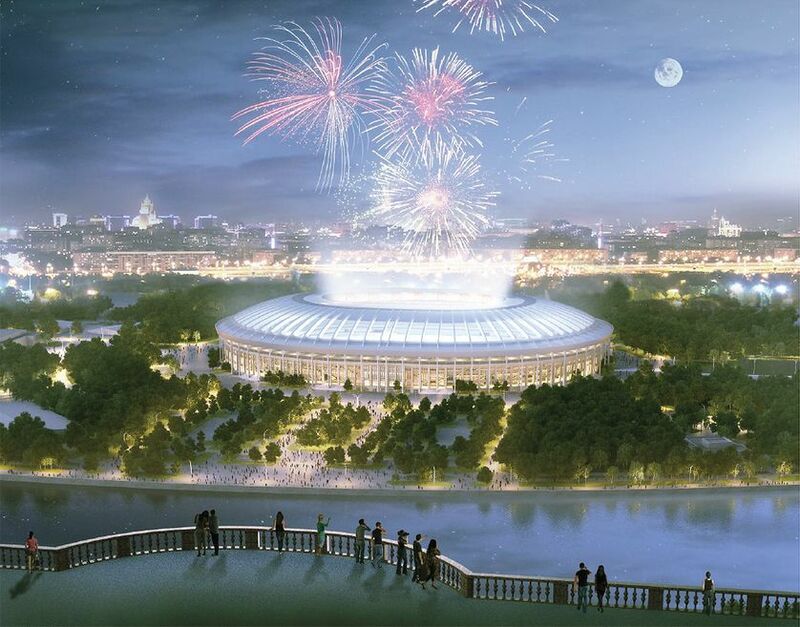 The Luzhniki stadium that never was. The existing roof may have been preserved during construction, but it will soon gain a new use. 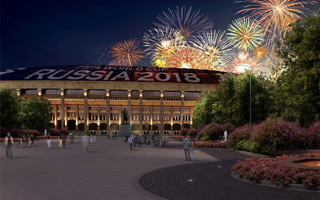 39,000 square meters of dynamic illuminations will allow people across Moscow to see the game. 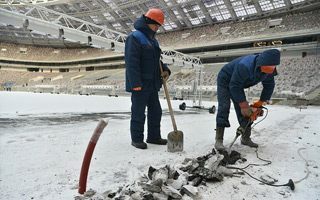 1,500 people are working day and night to speed up works at Russia’s national stadium. 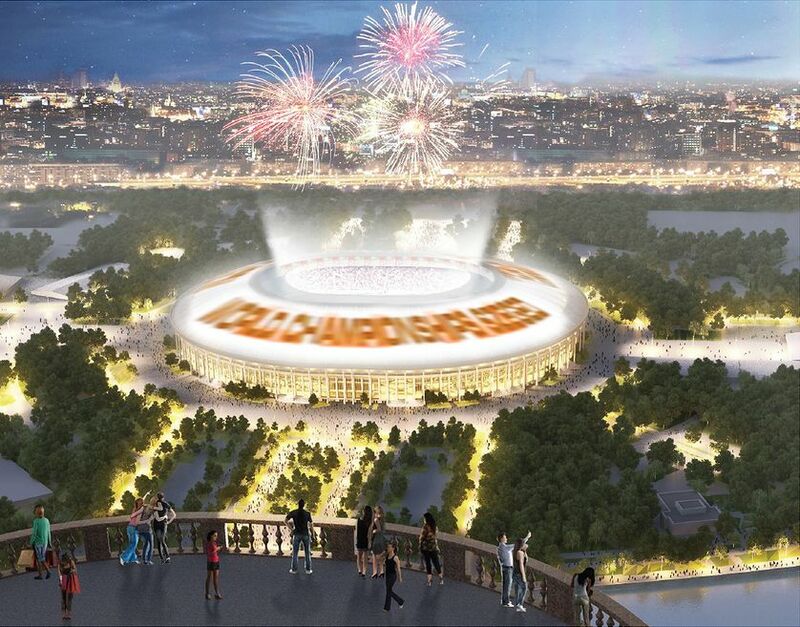 It was the contractor’s choice in the wake of Russia’s economic instability. 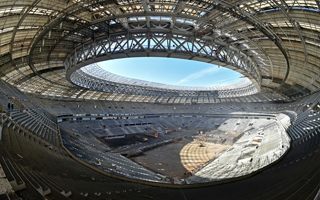 General director of Sports In, company running 7 projects for the 2018 World Cup, argues Russian stadia aren’t more expensive than in other countries. But he presented the public with manipulated data to make his case.